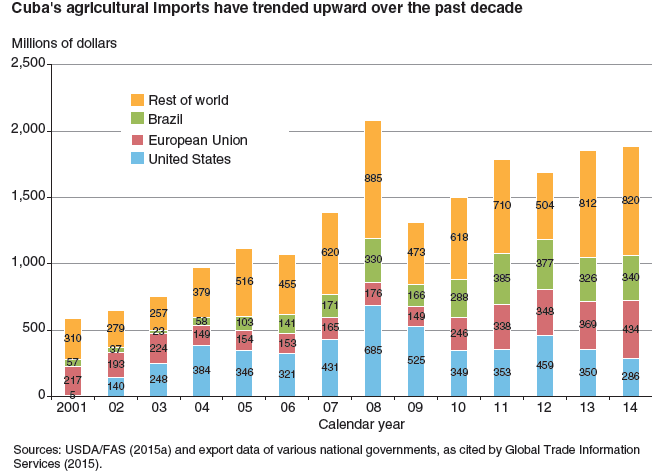 Establishment of a more normal economic relationship with Cuba has the potential to foster additional growth in U.S.-Cuba agricultural trade. 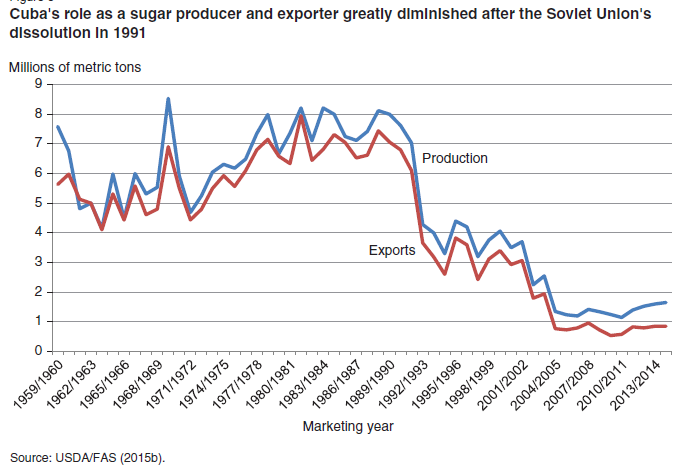 Prior to the Cuban Revolution of 1959, bilateral agricultural trade featured large volumes of Cuban sugar and smaller volumes of molasses, tobacco, and pineapple from Cuba and rice, lard, dried beans, wheat, and wheat flour from the United States. 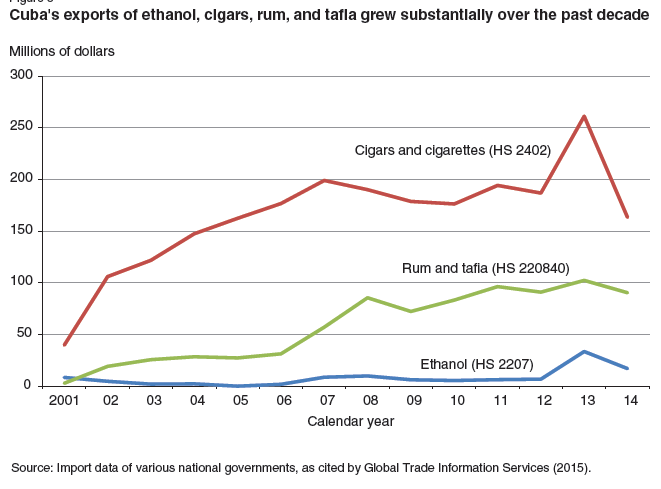 In 2000, the U.S. economic embargo on Cuba was loosened to allow for U.S. exports of agricultural products and medicine. 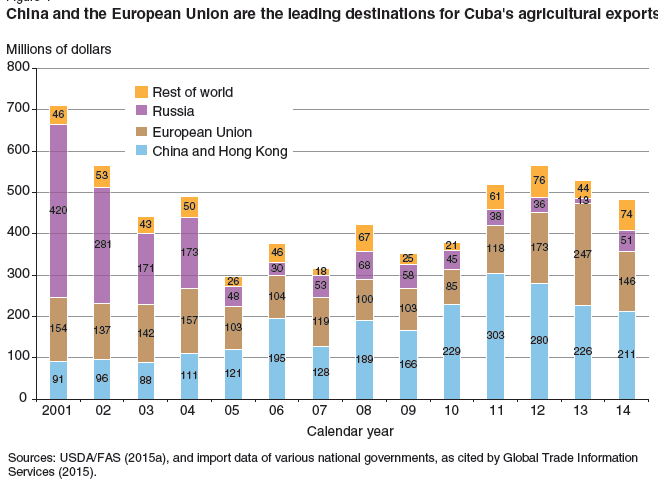 As a result, the United States soon became Cuba’s leading supplier of agricultural imports. The remaining prohibitions on issuing credit to Cuba, however, give other exporting countries a competitive advantage in the Cuban market, and the United States slipped to being the second leading supplier in 2013 and the third leading supplier in 2014. A more normal economic relationship between the two countries would allow Cuba to resume exporting agricultural products to the United States, while U.S. agricultural exporters would be able to develop commercial ties in Cuba that approximate their business relationships in other parts of the world.